It’s funny how things just seem to work out sometimes. 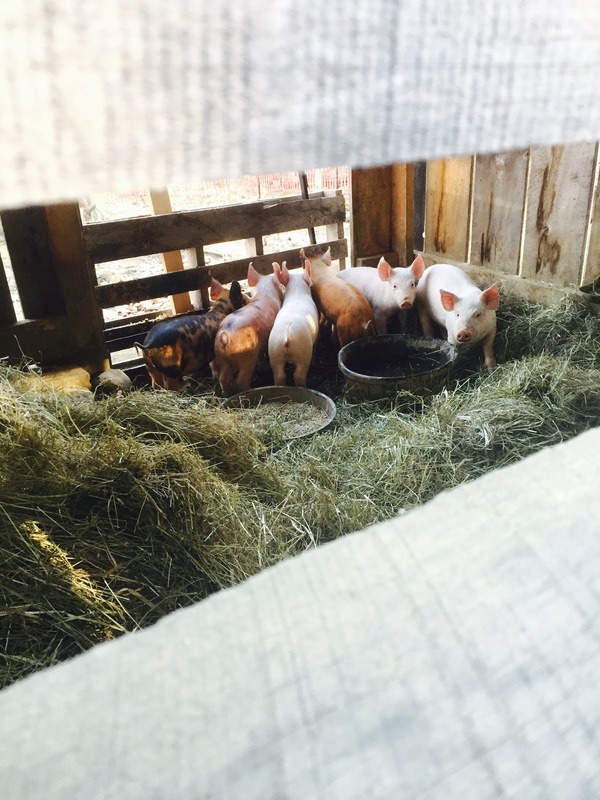 Just as I was telling my friends and family that I’m hoarding my last 2lbs of bacon from this past fall (we started with 17lbs), I got the call over the weekend that our piggies were weaned and ready to come home with us! Not only was I feeling stingy with the bacon and ham, my husband, James had just reminded me that he was hoping to get the pigs earlier in the season as they will yield a larger pig come November. We got last years batch mid to late April. The stars must have been aligned because we got our pigs exactly when we had hoped we would! It’s been a busy month on the homestead. The ground is thawing, the snow is gone. Chores that had been put to a winters rest are awake and smelly and need tending to. That might have sounded weird, but I’m not kidding. 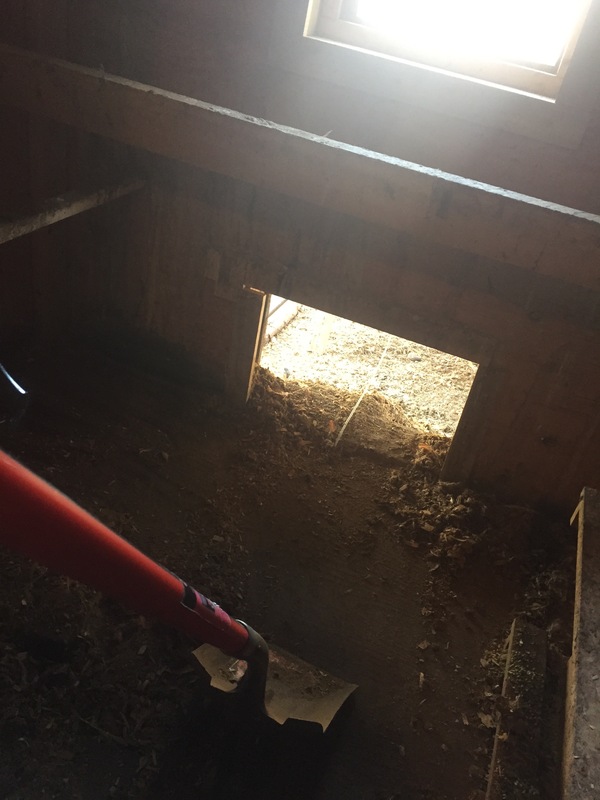 Have you ever had the task of cleaning the chicken coop after a long winter? Chicken poop becomes almost, cement like over time. When it all starts to thaw, it is one smelly, heavy, awful job!! 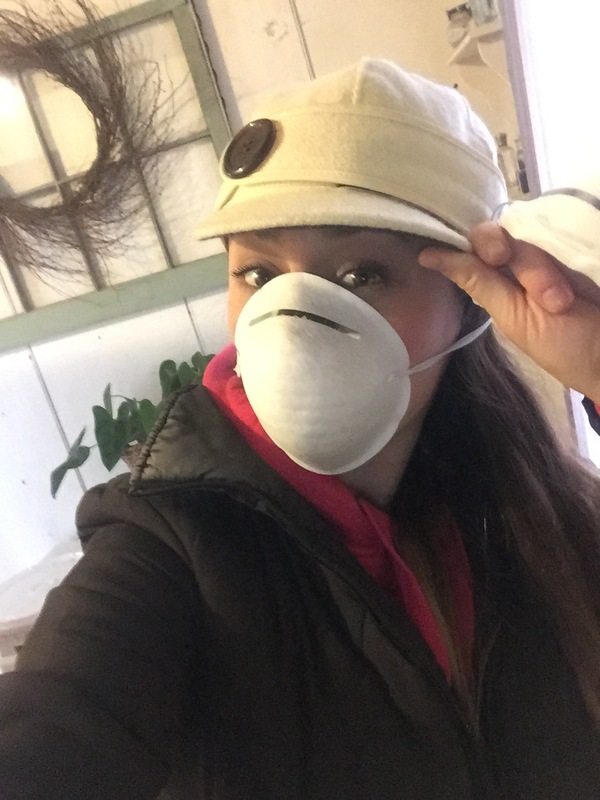 Make sure you wear a mask! Not only because of the stench! That stuff is toxic! 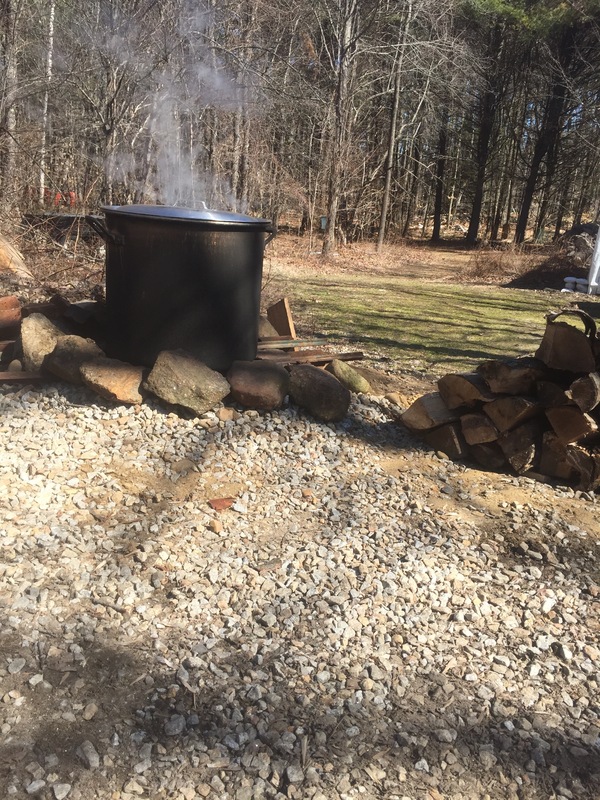 We’ve also been hard at work maple sugaring! We are so fortunate on our small three acre homestead to have several mature maple trees! 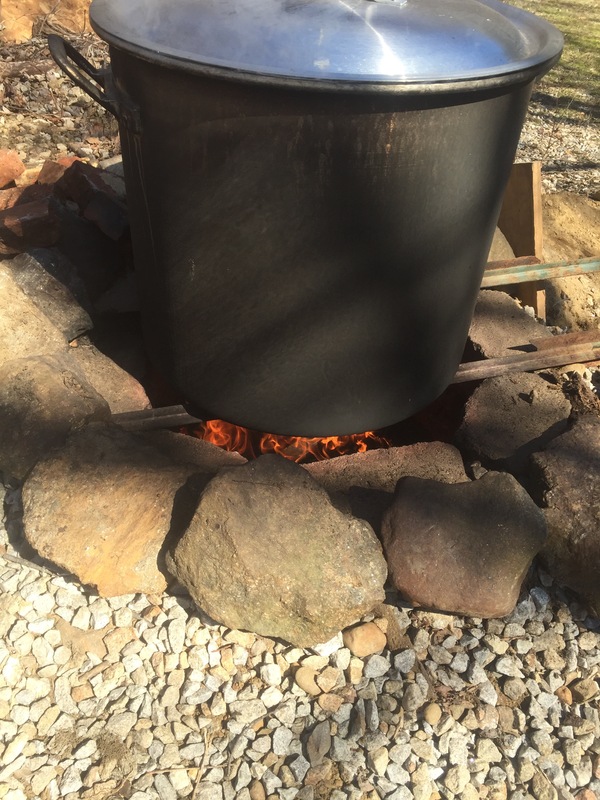 We don’t run a huge operation but we have consistently been blessed with about 40 gallons of sap each year! 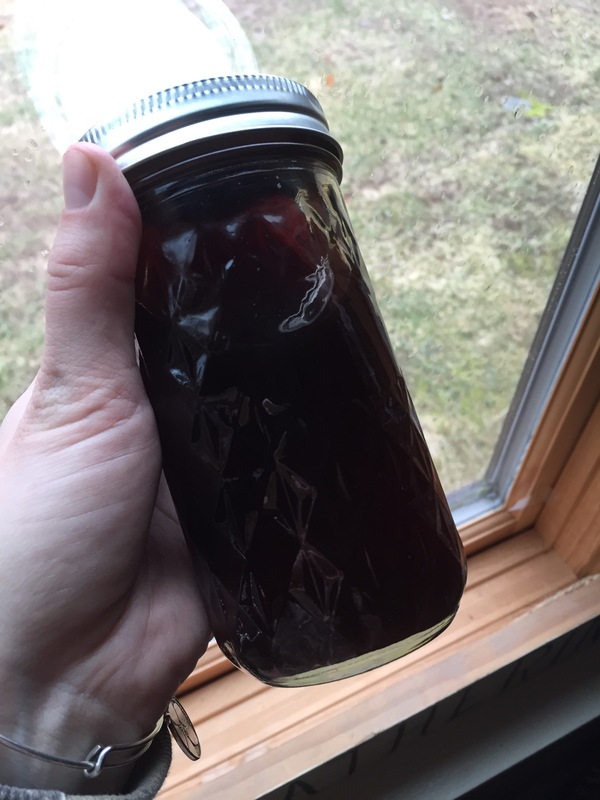 After all is said and done, we have a gallon of dark, rich, New Hampshire maple syrup! Plenty to keep for our family and give to our friends and family that help us on boil day! Back to my pigs! This weekend was truly lovely outside. Warm for March in New Hampshire, sunny and beautiful. I got the message that our first 6 piglets were ready mid morning. With Easter being the next day and house full coming for Sunday dinner I wasn’t sure we could take them right away. James and I discussed and agreed that housework and cooking could wait. 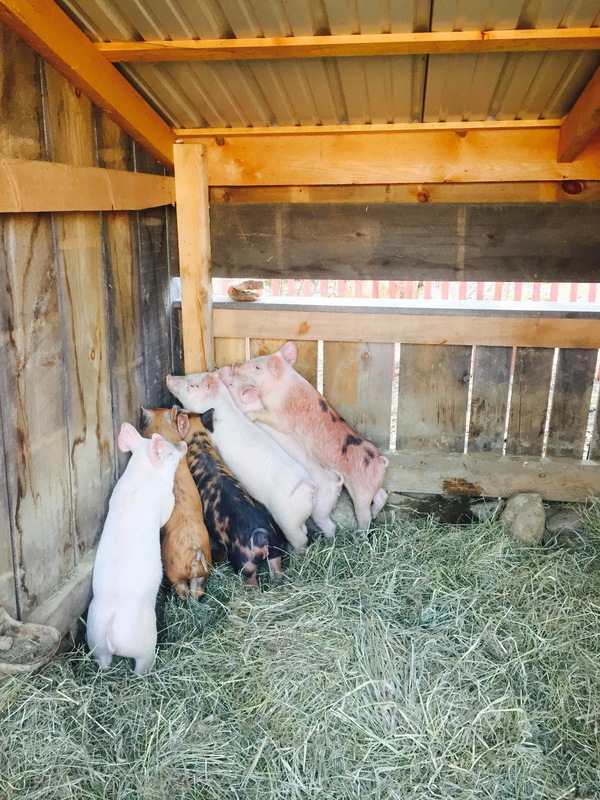 You never want to get last pick when choosing your pigs or any animal. You run the chance of buying runts. That might sound bad, but you need to try and get what you pay for. Especially when people are paying you in the long run. We want the best possible product for our buyers and our family. Livestock can be so unpredictable. With that in mind try and control the things you can. Pick sturdy, healthy looking animals. After that, it’s in fates hands. Even if you feed them the best grains or produce out there, you never know what could happen when it comes to livestock. 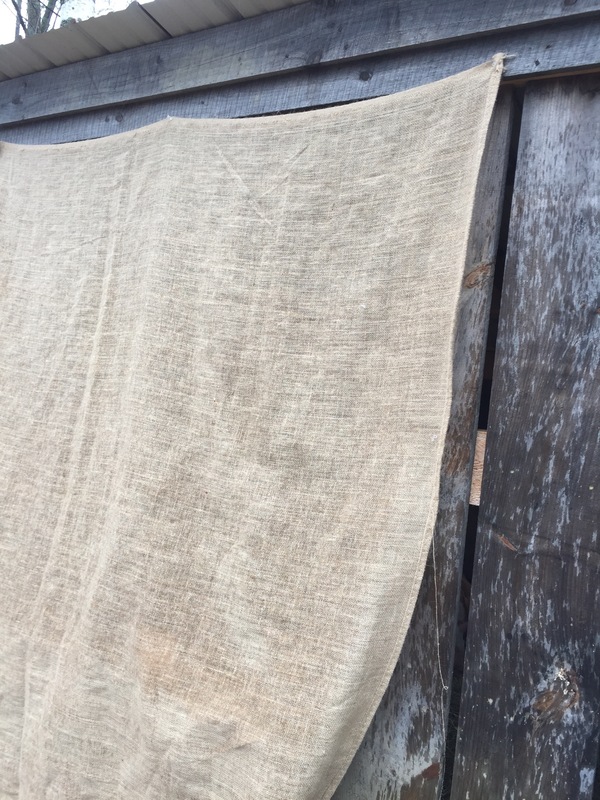 We try the best we can… In reality things happen and sometimes you need thick skin on a farm or homestead. So game time decision–James and I were off! 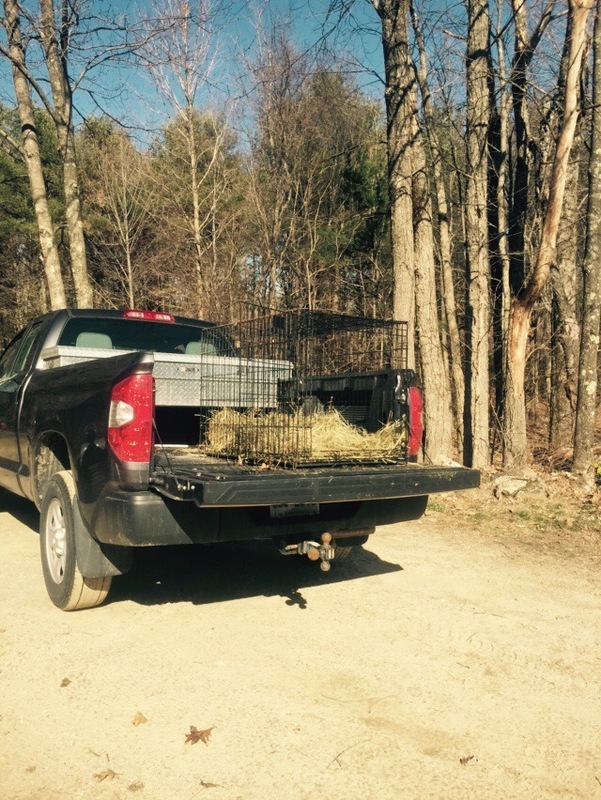 We cleaned the extra large dog crate and filled it with hay for transport. I went to our local grain store and picked up more hay for bedding, pig and sow grain and checked on our chicken order! 30 more babies coming in two weeks!! James worked diligently to repair and rerun parts of the electric fence. 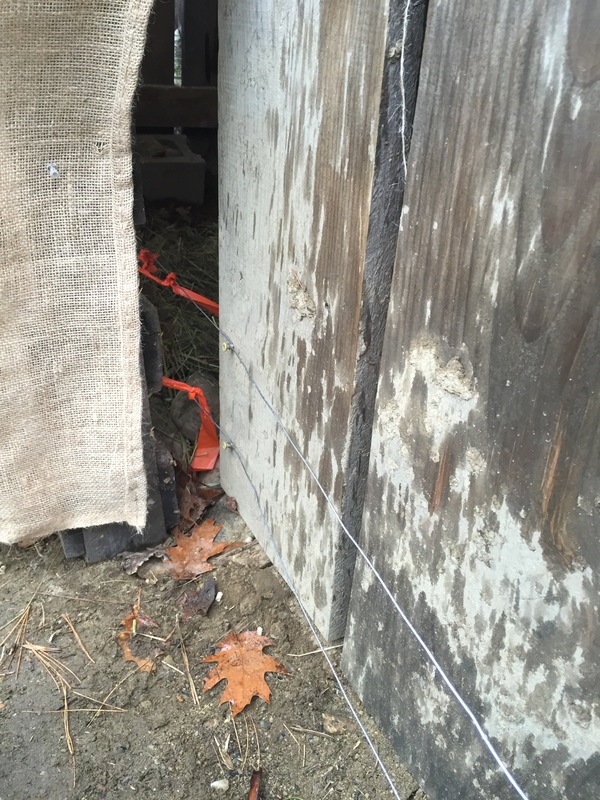 We opt to keep the piglets in the pen with a wooden barrier and a well marked electric line, labeled with orange tape to hold the pigs in the pen till they learn the electric fence is their true boundary. When they’re older, we remove those “learner lines” and they are free to roam! These guys are a bit younger than the pigs we got last April. 7 weeks to be exact. Their mother is an older sow and gave everything she’s got to her babies. It was more healthy for the sow to wean the piglets early and let her regain the weight and nutrients she’s lost in the nursing process. These guys and girl (yup only one girl for now) are seriously so cute!! So, being the pig mommy that I am, I have to admit I’m a little worried about our falling temperatures outdoors…we may have had a nice weekend but man!!! It is cold and rainy today. 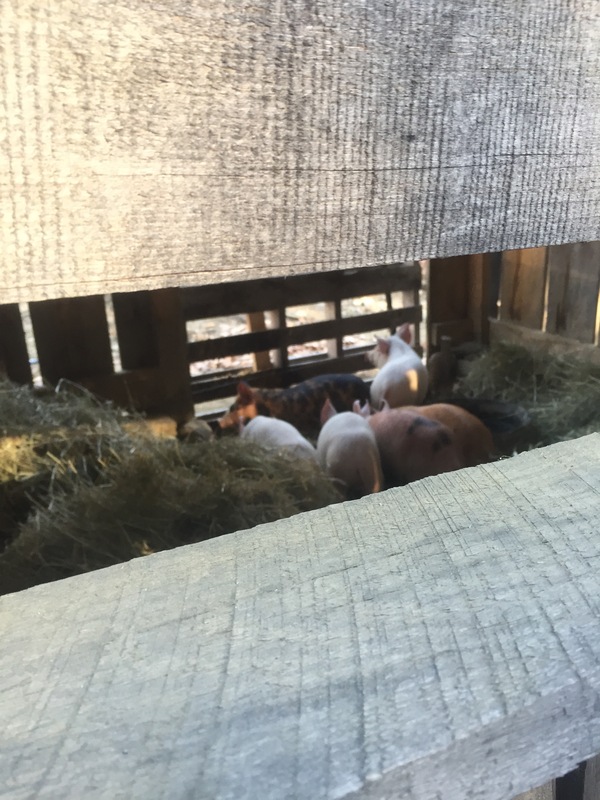 They just lay there all cuddled tight and nesteled in the hay… They’re fine. This is what they do. 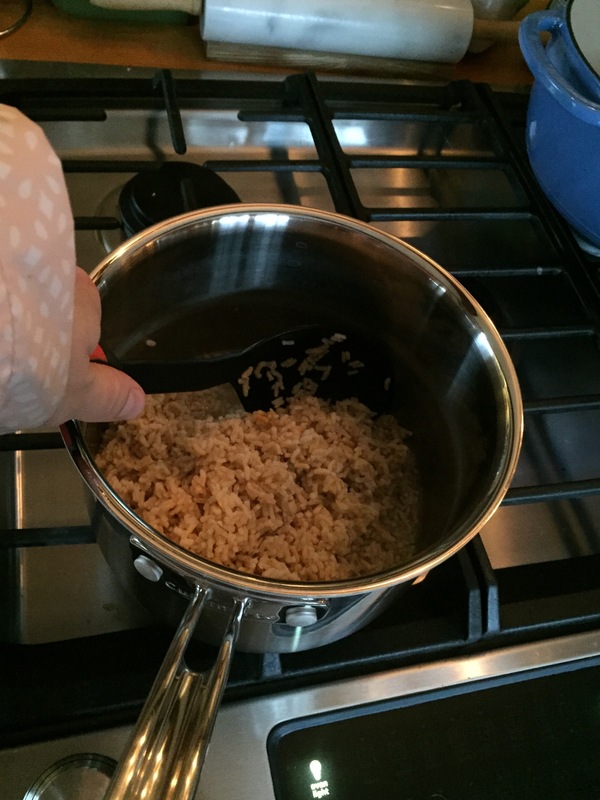 Yet I’m still in the kitchen standing in my raincoat cooking them brown rice for a meal to keep them warm. This post is to reassure any of you out there with livestock to trust your instincts. 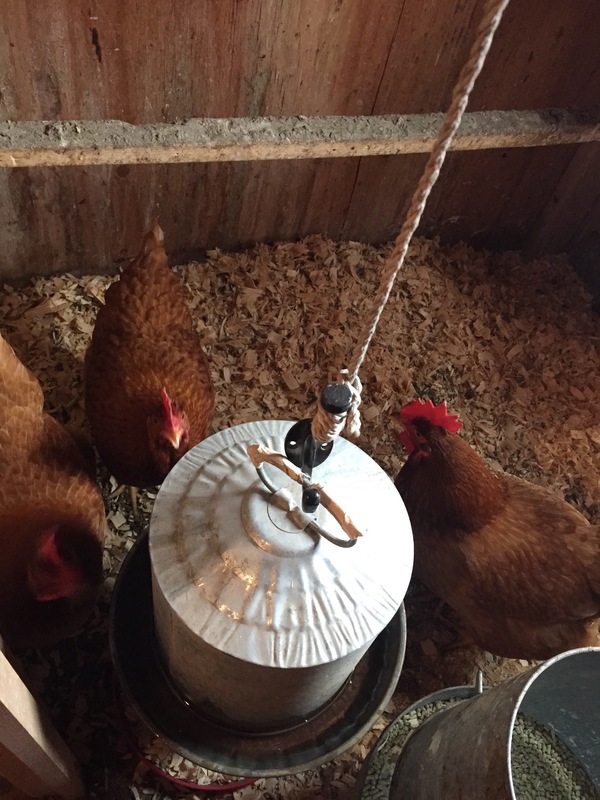 Raising pigs or chickens is not hard. But it will challenge you to trust yourself and trust that nature is simply nature. What a rewarding experience this will be! I’m so excited for our round two piggies!!! Hopefully they learn that I’m a nice human soon! Although the piggy conga line is pretty darn cute!